CURL is predefined php library which allow us to perform any web service action. It supports to connect any 3rd party application which is exposing services to outside world like Google Geo Distance, Yahoo Finanace API, Census API, etc,.. In Magento 2, CURL is organized as internal library and ensure to make secure curl request. You can include the curl class in your model / helper file via standard di method to perform a standard curl operation. The Curl.php class file contains below list of important function which is part of any standard curl operation. The function allows us to set array of header params for the curl operation and may contains valid credentials to make the call. This function is responsible to add header param one by one in sequent way. Ex : Adding content type header param in curl operation. Sometimes, the target system will allow us to consume the service after successful authentication process. This services are purely private access. The setCredentials() function is used to set the valid authentication credentials on curl object as part of header param. This function is mainly used whenever we are passing the params as query string in the url & going to fetch the data from target system. 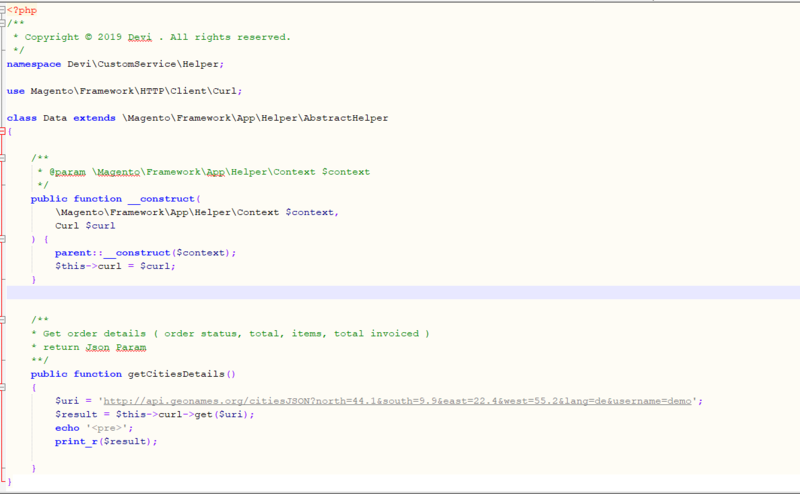 This function is very useful whenever we are going to post the params to target system. This function will support both GET / POST method in curl operation. Basically it accepts 3 main params. $params  parameter which needs to be pushed to target system. It’s useful to set array of options in the same time. I am seriously suggesting to use magento curl library to perform any curl related webservice calls which is safer compare than native php curl class. Below is the reference code your quicker understanding. Save Water Save Earth !! !